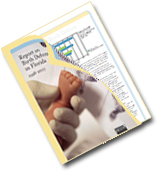 The birth defects surveillance program works collaboratively with health care professionals to monitor and investigate the occurrence of birth defects in Florida. Physicians, nurses, genetic counselors and other health professionals may observe an increase in the number of infants born with birth defects and should contact the Florida Birth Defects Registry when this occurs. Together, public health officials and health care professionals can investigate suspected increases to understand possible contributing factors and address community concerns. Please click on a topic below for detailed information.